A revealing Twitter exchange hints at the possibility of a TRD SIenna, among other things. In the not-too-distant past, Toyota was a punchline among car enthusiasts. A bastion of boring cars, driven by dullards. Over the last several years, Toyota has turned themselves around at a rapid pace. While the cars have always been good, they're no longer just the cars enthusiasts like us recommend to our aunts at Thanksgiving – they're the cars we want to drive. In fact, according to The Drive, Toyota UK has more or less admitted that they want to build performance versions of every car they sell. Just yesterday, they responded on Twitter to a customer stating that Toyota should build a Gazoo Racing version of their evergreen Hilux pickup truck, to which they not-so-cryptically replied, "There are plans in the pipeline to introduce high-performance variants of all models in the future... Watch this space!" Of course, we should keep in mind that a performance model may not necessarily mean big horsepower and aggressive handling. Instead, we imagine that each performance model would play off of the base vehicle's relative strengths, optimized to make them even better at what they're already good at than before. Think of the TRD PRO versions of Toyota's trucks and SUVs, designed to be even better off-road. Another example is the recently announced TRD Prius, available in Japan, which employs an aggressively aerodynamic body kit that reduces wind resistance, thus increasing fuel economy. It looks pretty tough, too...for a Prius, at least. 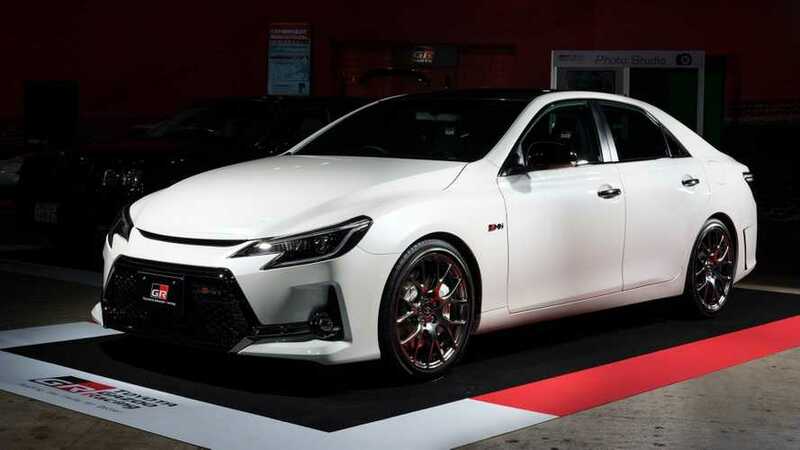 While it's likely that, say, a Toyota Camry GRMN or TRD variant would include a more aggressive suspension and a horsepower bump, not every model in the lineup is likely to be treated the same way. It will be interesting to see how Toyota makes a Sienna, Highlander, or RAV4 performance model. If Toyota remains true to their word, we'll find out soon enough.